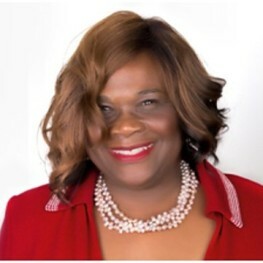 Dean Rolle has extensive executive leadership experience in higher education, corporate and federal government operations. Her background includes working in multiple Federal agencies; Harvard, Hampton and other academic institutions; IBM and consulting. In academic institutions she has been responsible for academic leadership, academic programs, and student affairs. She has launched multiple undergraduate and graduate degree programs. As an economist, she has taught courses in economics and entrepreneurship. ; her areas of expertise include urban economics, human resources, and entrepreneurship. At Medgar Evers College, under the leadership and support of President Rudy Crew, and Provost Augustine Okereke, Dean Rolle launched the Entrepreneurship & Experiential learning lab (EEL) in the fall of 2015. Since the EEL launch, Medgar Evers College teams have studied entrepreneurship in ten countries; published in excess of 10 papers; initiated four international agreements and in 2016 coachedthe first woman to win the CUNY-wide SmartPitch competition. Dean Rolle is sought after as an international keynote speaker on entrepreneurship and economic development. An interview with Dean Rolle that shares more details on her background, motivation, challenges and goals is provided in the link below.